Nine brilliant scientists travel light-years on a one-way trip to an Earthlike planet. Their mission is to study from orbit the two species of intelligent lifeforms on the surface. The first: an isolated people embarking on civilization and building their world's first city. The second: a brutal race of massive predators, spread thick and still growing across the dominant landmass - destined to breed and eat their way to extinction within a few centuries. After eight years of observation, disaster strikes the orbiting station, and only two crewmembers eject successfully. 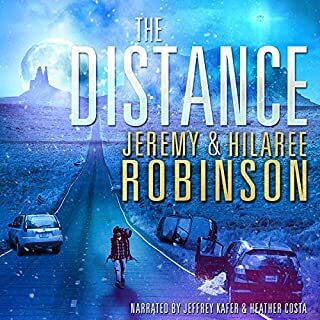 Drifting down through a dark, alien sky, the pair realizes their escape pod launched not toward the safety of the city but to the other side of the planet, touching down deep inside a land no human could possibly survive. 1. exigent state or character; urgency. the exigencies of city life. He promised help in any exigency. 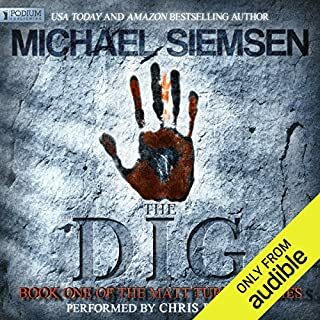 The title of this book by Michael Siemsen immediately made me interested in listening to it. It’s catchy, feels fast paced and lured me in. 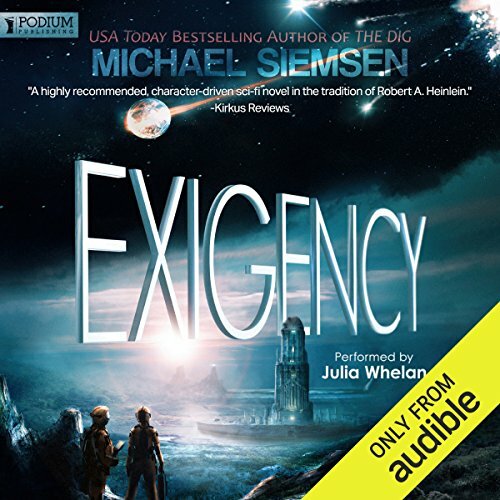 Narrated by Julia Whelan Exigency is the story of a team of scientists in the far future who are in orbit studying a developing planet. They observe flora and most… urgently the fauna. There are two species of note on the planet, the Hyanka and the Threck. Both species are intelligent and are developing societies, science and such. Calamity of course strikes the space station they are on and they must evacuate. Their escape pod lands in a dangerous region of the planet and the exigency begins. They can’t survive for long on their own, and they now must enlist the aid of the aliens. In audio the book suffered from the back and forth written communication style. There’s a messaging system the humans use that’s essentially like modern day texting and on paper I can imagine that it’s far easier to read. In audio however I felt irritated by the prefacing of initials, abbreviations and the ‘l33t sp33k’ feel of it. It didn’t register as entertaining or particularly clever to me, though I can see how it would be much better in the written book. Despite its anything but urgent start, and lower level of the action I expected out of a book about scientists stranded on a dangerous alien planet Exigency is entertaining. It seemed far more about cultural clashes and the language barrier of meeting new civilizations, and I found that element well written and interesting. If you’re into hard science fiction and the future of space exploration Exigency has something to offer you. Julia Whelan’s performance of the title is entertaining and well done. 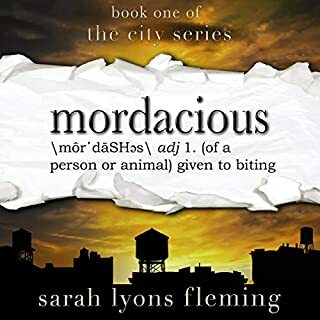 Her fluid dance between character voices and species becomes easy to follow very quickly and makes the book a pleasure to listen to. Interesting concepts and characters (human and alien). The author relied a bit too heavily on shifting POV and overlapping episodes as a technique to maintain suspense, but the original content was a true artistic pleasure--even with painful death scenes. Definitely not your same-old, same-old! I am continually amazed by the this Author! Michael Siemens has amazed me with every book I read! This was a new take on what one would think was an overdone topic. The characters are brought to life and depth throughout the story, leaving us, once again, looking forward to a sequel! This is an Awesome Book! 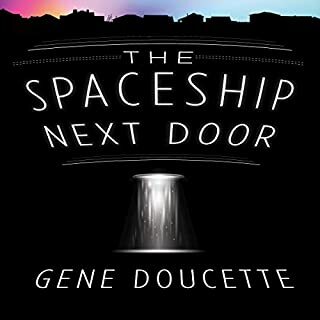 If you like great characters, interesting aliens, and a fascinating alien world, then this book is for you. 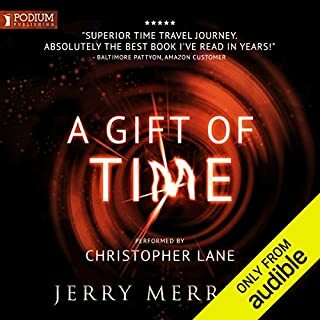 The narrator did a great job bringing out the personalities of all the scientists, and making the story enjoyable and interesting. I loved the alien world with all the attention to detail describing a fascinating ecosystem on an alien world. My favorite characters were definitely the aliens, they were great! I couldn't stop listening until the story was finished. 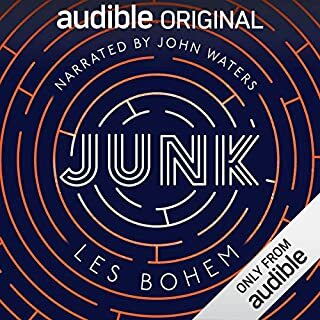 I've read this book 3 times and was dying for the audiobook because Julia Whalen was narrating. Such an outstanding job. or Imaginative enough for this genre. I really enjoyed this story. I hope theres a sequel. I love the narrator very much. Shes one of my favorites. What disappointed you about Exigency? Apparently, this author sees future human deep space missions and colonization composed of a crew of emasculated weak men led by strong lesbian women. If you find this works for you, then you'll really enjoy this book, but unfortunately I just couldn't get into the emtional interactions. Would you be willing to try another book from Michael Siemsen? Why or why not? My first experience of Michael Siemsen story-telling and will definitely not be my last. Fascinating, exciting and richly detailed, I have nothing but praise for Exigency. Julia Whelan was a wonderful narrator and I could not imagine anyone more accomplished in bringing the diverse characters to life. A wonderful story, imaginative, rich, vibrant charecters who make you want to hug them or throttle them! Kudos to Julia Whelan who brought the story alive and made the characters real and so affecting. 4 stars, there were certain 'longeurs' but I loved this. Loved the idea of the story.... I wish that the forward and backwards was more sectioned so it's not as confusing. descriptions of the creatures were confusing and I couldn't picture any of them. I wish I'd loved this more. I found myself getting distracted and realised I'd missed a chunk of the story! Maybe I'll try it again one day. Would you try another book written by Michael Siemsen or narrated by Julia Whelan? Would you be willing to try another one of Julia Whelan’s performances? Take a book for £3 get someone to narrate it and sell it on for £20. It's not worth it. The idea behind the story is great but poorly developed. The narration is really annoying.